My sons were not fond of any other sandwich except peanut butter, butter toast, or Nutella. However, these changed in the last couple of years. They tried different sandwiches with different loaves of bread. During school days, they don't pack any Indian breakfast. 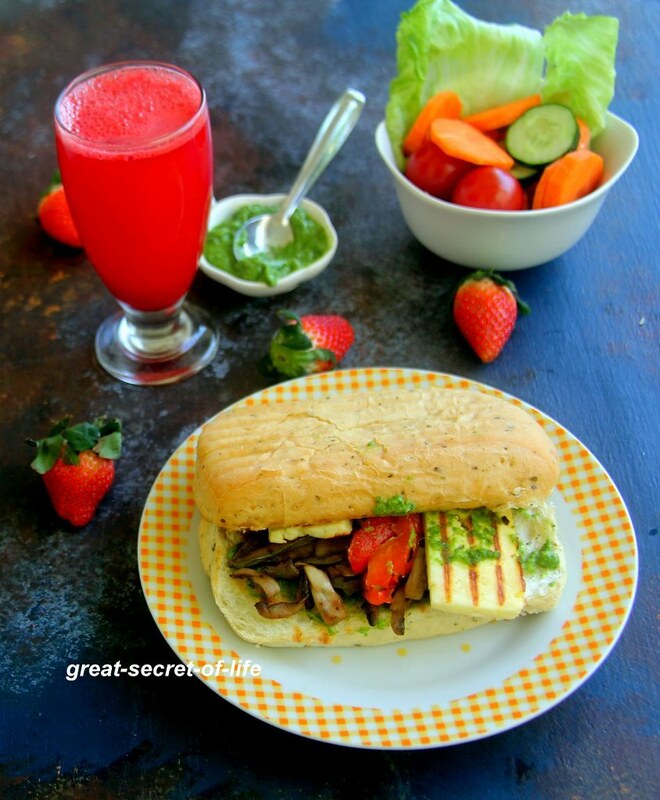 So when I saw this grilled paneer recipe on the net I know it will go well with the sandwich. 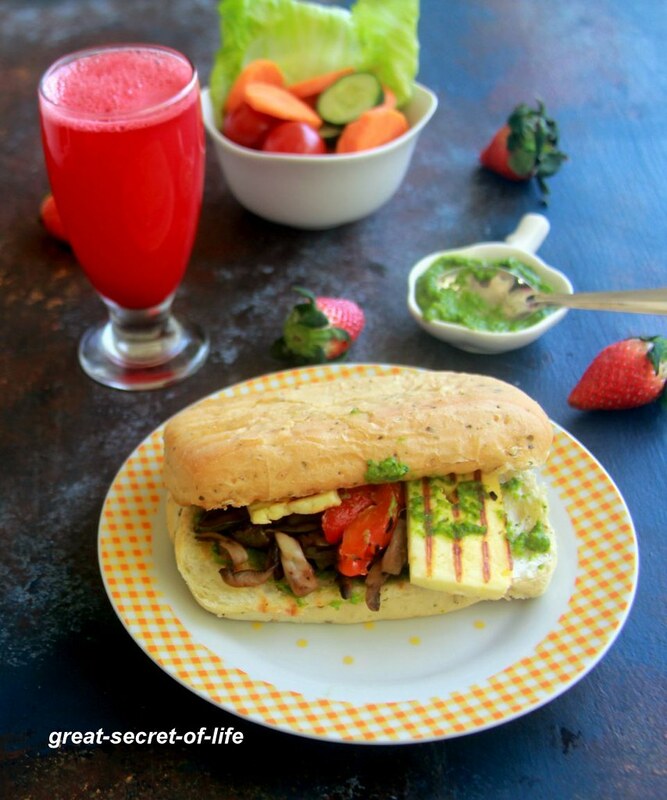 I have added roasted bell pepper, mushroom, eggplant and avocado. 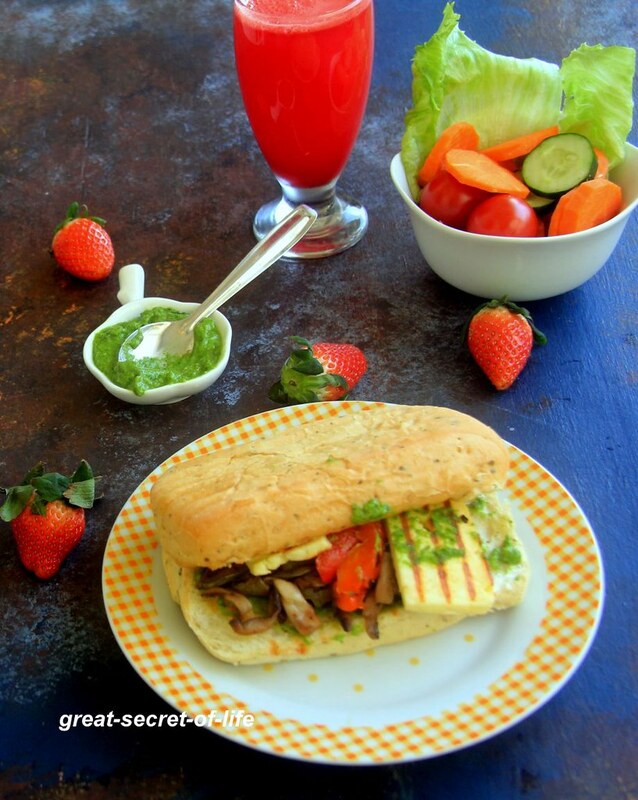 But you can include your favourite vegetables like lettuce, tomato etc. Also for the spread, I have used pesto. You can use green chutney or you can skip it. Apply olive oil around a washed and dried red bell pepper. Roast it on medium flame. Remove the skin and slice it. Keep it aside.